Having given a run down on shopping in Kowloon, I thought I would now broaden the discussion to include HK Island. 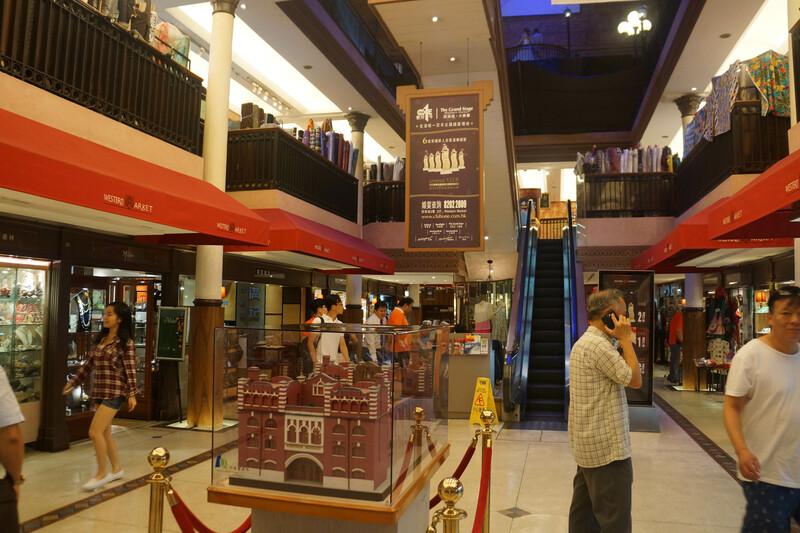 A must visit is the Western Market on Des Veux Road Central. Take the MTR to Sheung Wan station and leave via exit B. Turn right and wander along the street until you see this building on the corner of Morrison Street. Hold your breath – it’s very exciting! Apart from the fact that this is a beautiful, iconic building, the entire second floor is full of fabric! It is impossible to get a good shot of the fabric stores, but you can see that they line the perimeter of the second floor. They are all little booths, owned by different people (some people seem to own two or three booths), and the fabric is packed in. If you say what you are interested in, fabric will materialise. I think my favourite piece is this silk by Prada. How could I resist it? I can already guarantee that I am going to be too scared to cut into it! I had a shirt in my head for this fabric. 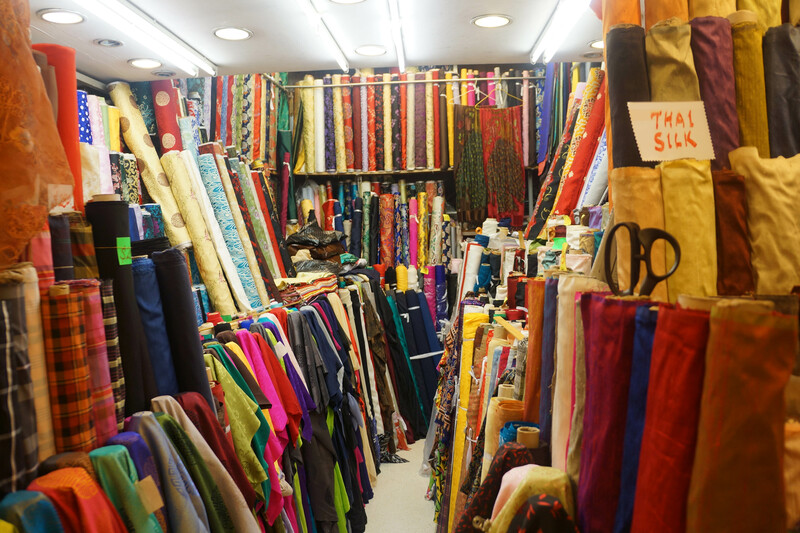 This market is a must for everyone interested in buying fabric. 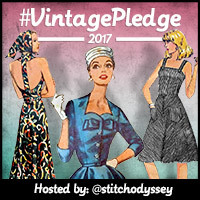 You won’t get anything else in the way of sewing notions, etc, but boy, you will find yourself in fabric heaven! Next on the agenda was a shop rather uninspiringly called “Tailor and Alteration” and here is their website. This shop sells everything – fabric, yarn, notions and they even offer classes. Here is Bea having a browse. You’ll be pleased to know that I didn’t add to my stash! This shop is at 467-473 Hennessy Road, Causeway Bay Commercial Building, 19th Floor, Tak Fung. I think we hopped back on the MTR and went one stop to save a bit of walking. Get the MTR to Causeway Bay Station, exit at D2 and then you are on Hennessy Road, turn right and walk 300metres. It’s in what appears to be a small office building, so don’t be put off by this. They also have a store in Kowloon – 12th Floor, Room 77, Yip Fat Industrial Building, Yuen Road, Kwun Tong, Kowloon – but we didn’t get there (thank goodness!). 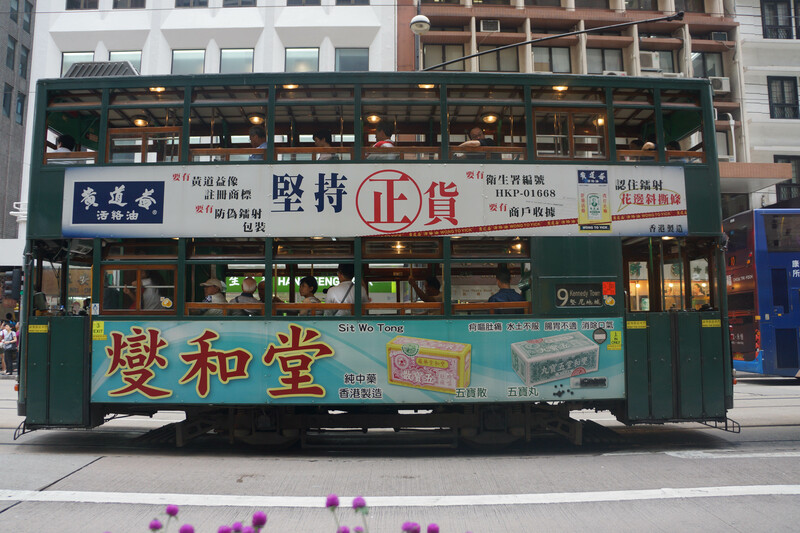 Hong Kong Island has very charming trams – double decker, which I’ve only ever seen in Hong Kong. Normal service will now resume – until my next trip which thankfully is probably not for a little while! 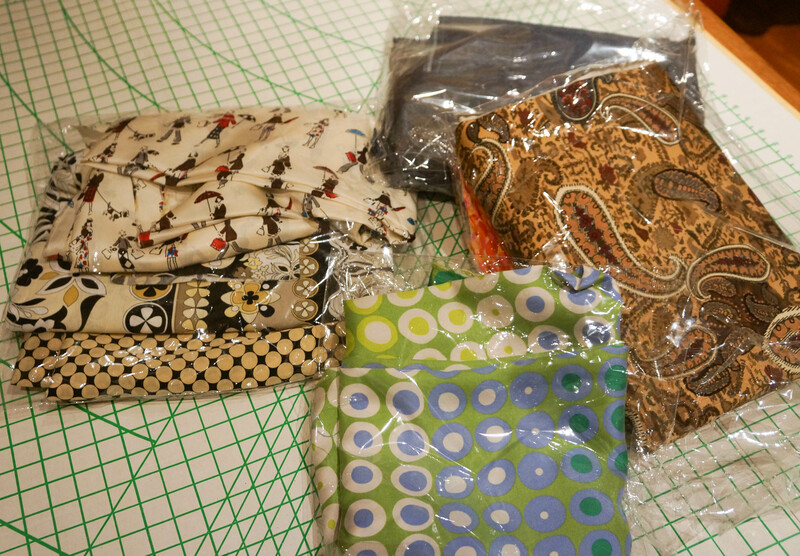 Thanks again for the fabric store locations in HK. I have to agree with you, the Prada silk is beautiful. I know I would have picked that. What are you thinking of making with it?? When I grew up in Christchurch, NZ, all of my winter blouses and dresses were sewn with Viyella. 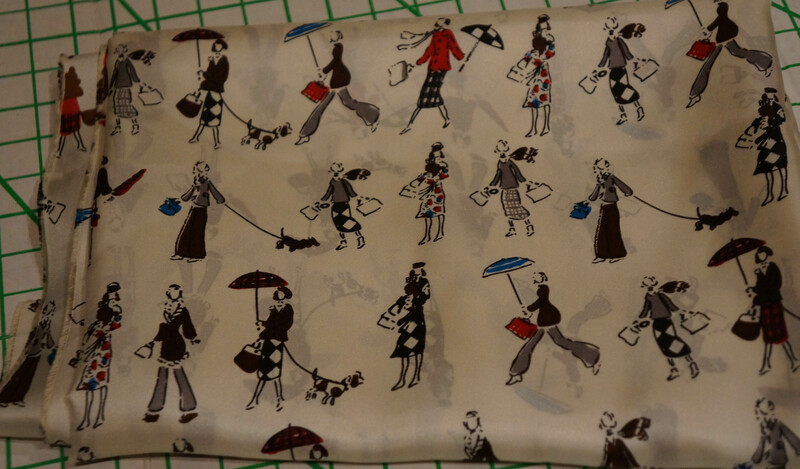 It is lovely to sew with and very warm for such a light weight fabric. My Mum always bought Liberty Viyella as it wasn’t expensive then as it is now. Yes, I forgot to mention that my mother used to buy Liberty Viyella in England and it was gorgeous. Note to self: go to England for Viyella!! HK had lots of other Viyella but I wanted it for my husband and son so had to buy manly prints. Oh you have some beauties there, I look forward to seeing what you will make. Looks like I need to make sure I check out the Viyella, don’t think I have heard of that before. Can’t wait to see the shirt you will be making out of the prada silk! I can see you going back to HK just to add to your collection – you must of been in paradise. Love the prada silk too! So much fun going fabric shopping in another country I imagine! It is fabulous to find different fabrics elsewhere, but I get out of control! Thanks for this and the last post. Im going in september, so will keep your tips in mind. 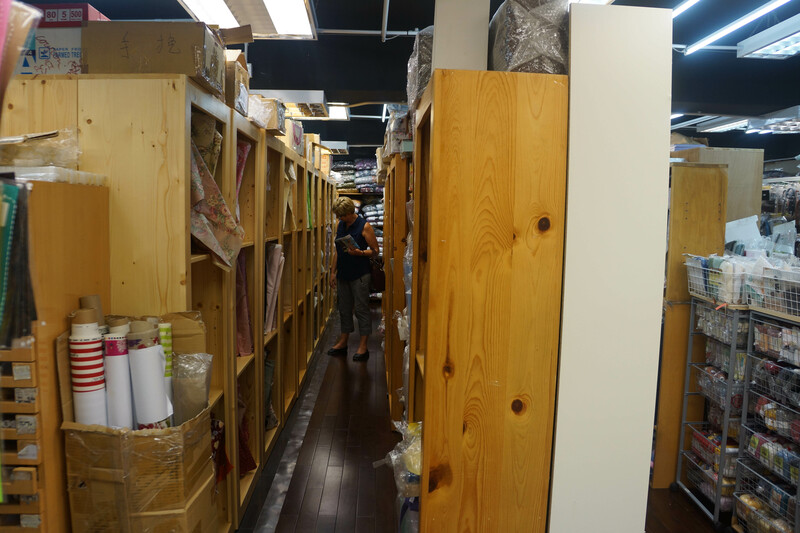 Previous Post Fadanista’s guide to fabric shopping in Kowloon, Hong Kong.